It seems appropriate to post this on the three year anniversary of Evie's diagnosis. 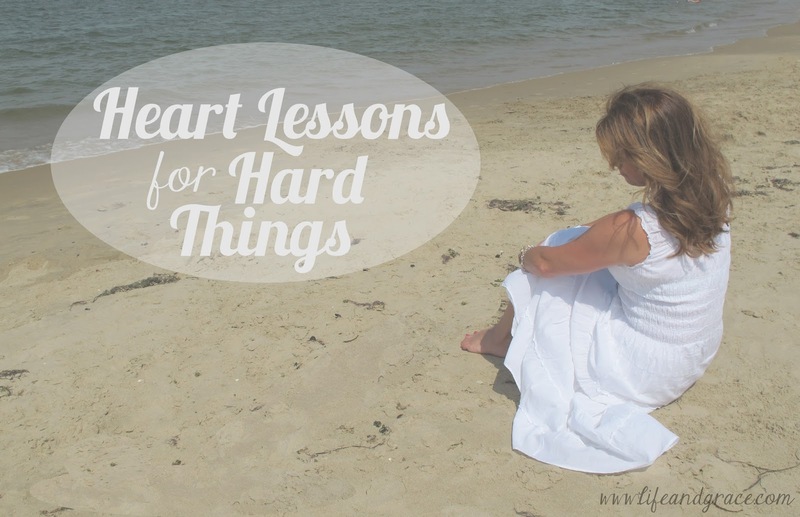 A heart lesson that continues to carry me through this journey with baby Kate as well. A heart lesson straight from the heart of the Creator and Author of our life stories. The spring we found out we were pregnant with our second baby, four months before we learned of her fatal anomalies, I was helping to lead a Bible study for our youth group girls on redefining beauty as God sees it, not as the world sees it, and this passage was a topic of study for one of the chapters. My heart took away two very important lessons from that study, lessons that have proved themselves time and time again in my journeys with my sweet baby girls. 1. All of us, even in our brokenness, are fearfully and wonderfully made. 2. Each of us has a unique story that God wrote before time even began. For you created my inmost being and knit me together in my mother's womb. 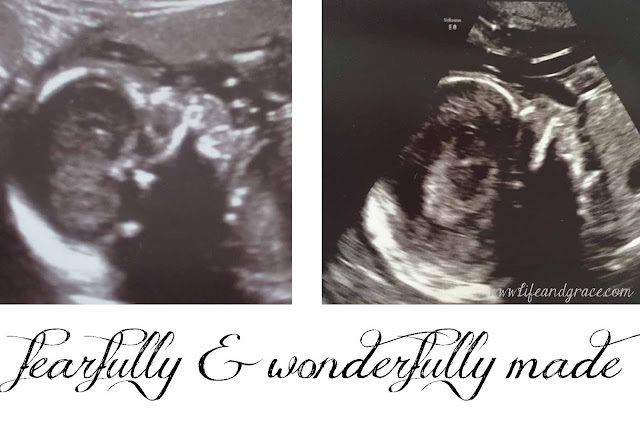 I will praise you for I am fearfully and wonderfully made. I know what the world says about my girls. It says their lives are not important and it would be ok to dispose of them. "Terminate the pregnancy" they say. Because if you aren't able to survive outside the womb how could your life be worth anything? But I know what the Lord says. He knit my girls together in a specific way. He designed them just a little bit differently than most. He pieced all their parts together ... let's see, we'll put a cute little nose there. And a pair of perfect lips right there. And precious kissable cheeks there. And the kidneys ... they'll be special. Ah. Perfect. I take great comfort in the fact that God calls my girls beautiful. Wonderful. Worthy of adoration. In a world that says otherwise, God Himself whispers into my maternal heart. They're perfect just how I made them. Beautiful girls, both of them. I see it like this. A great Playwright is penning the greatest story of all time. It spans millennia and involves every person who has ever lived. Each person plays a special part, has a specific role and specific lines. And, at some point, for some reason that only the Playwright can know (because He knows the end of the story, where it's all going to lead to, right? ), He needed two small girls with lungs too small to keep them alive for long. But they had (and have) their part. And one played it perfectly, and the other will too. And somewhere in the story the Playwright needed another character. A mommy who would cry tears upon tears for the girls and somehow show the world that love truly goes beyond the physical world. He wrote this brokenness into the mommy's story for a specific reason too. She's playing a very special role, even if she's not quite sure why or how to go about it. But it's her story too. God's sovereignty is so evident in this passage of scripture. It is that sovereignty that gives me so much comfort when life feels big and un-understandable and completely out of my control. Someone is in control, and in control indeed. And He says those broken pieces are beautiful and wonderful and He wrote them in there Himself. No mistakes, no erasing. Just beauty and wonder. And perfection to the only One who knows what perfect really is. I am in awe of your strength and grace. God holds all four of your beautiful children in the palm of his hand. Blessings sweet Sarah.